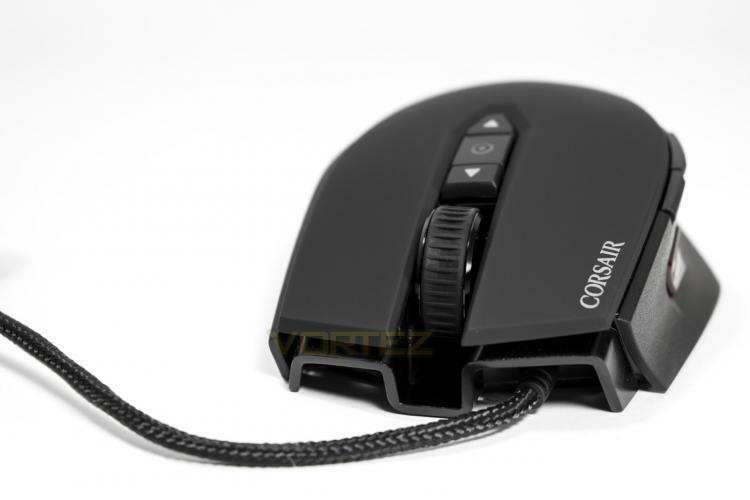 It has been a while since the Corsair M65 mouse hit the market and has undergone the various branding changes that Corsair have made to its gaming line 1 2. The M65 PRO RGB, is the latest revision to the M65 model and it comes with all those known and loved features of those before it. This includes 8 programmable buttons, the top quality aircraft-grade aluminium frame, ergonomic shape, the large sniper button as well as the adjustable weight system. The M65 PRO RGB is now kitted out with a new Pixart PMW336x optical sensor (similar to the 3366 in the Logitech G900? ), the same found in the Scimitar mouse. It has a resolution of up to 12,000 DPI and so we can expect a responsive, zero acceleration performance for increased precision. There is another change any Corsair fanboy would welcome. That is the return of the iconic Sails logo, replacing the fancy crossed cutlass design seen in our previous outing. ARRR! The logo forms one of three customisable lighting zones, with the forward projecting light and the profile/DPI lighting making up the other two zones.